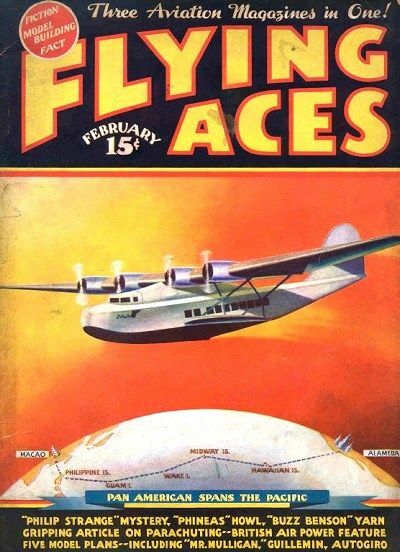 Starting in the May 1932 issue of Flying Aces and running almost 4 years, Eugene Frandzen’s “Lives of the Aces in Pictures” was a staple of the magazine. 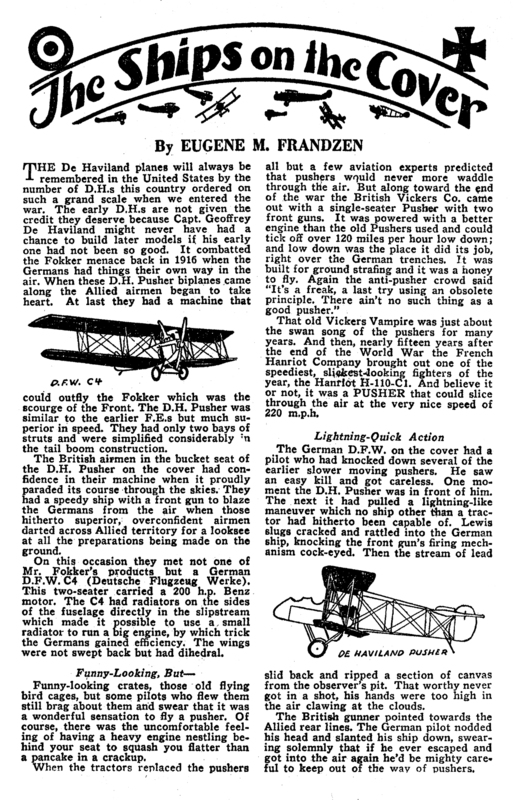 Each month Frandzen would feature a different Ace that rose to fame during the Great War. 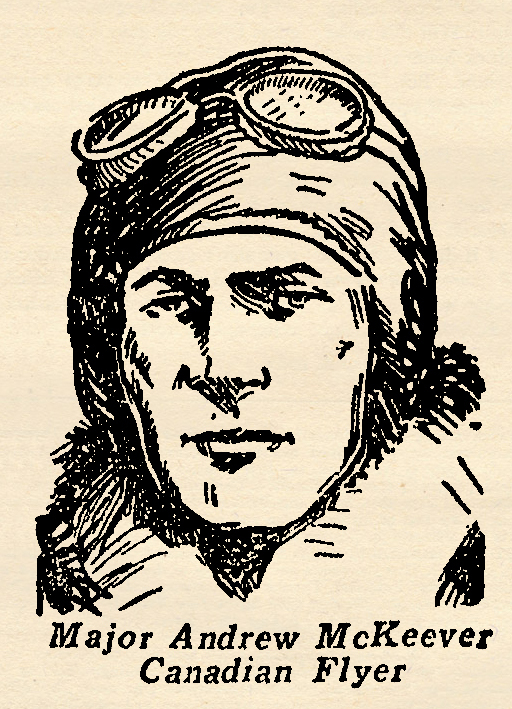 This time around we have one of the great American Aces—Major Charles J. Biddle! 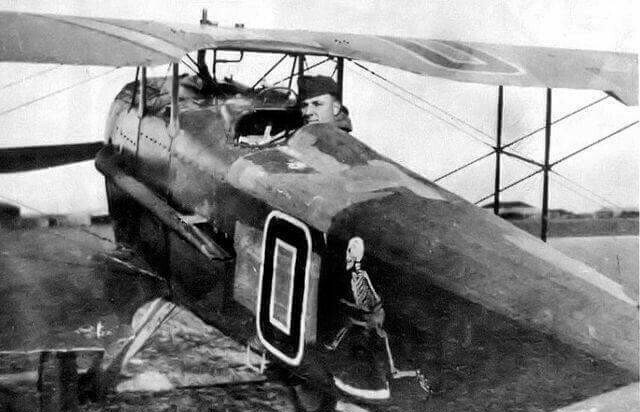 Major Biddle was one of that small number of American aviators who had actually had front line battle experience when his own country entered the war. 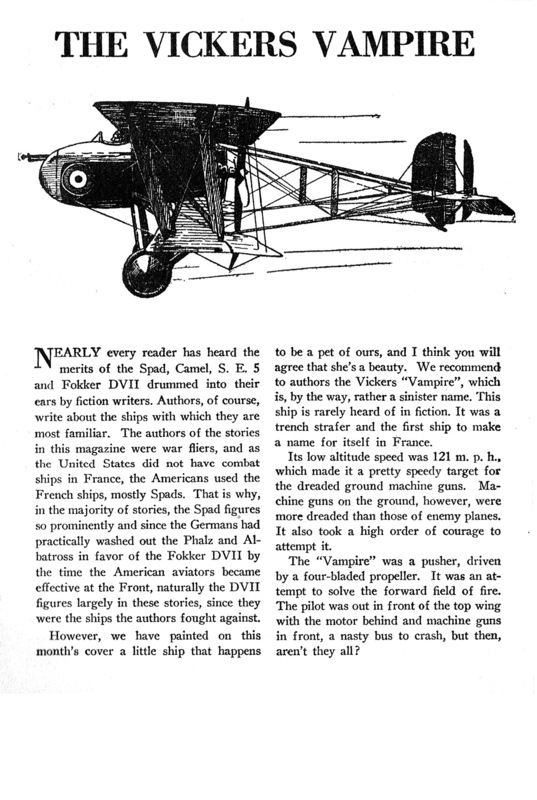 Even before there were any indication of his own country taking part, he sailed for France and enlisted in the French Army, where he was eventually transferred for aviation tralning. 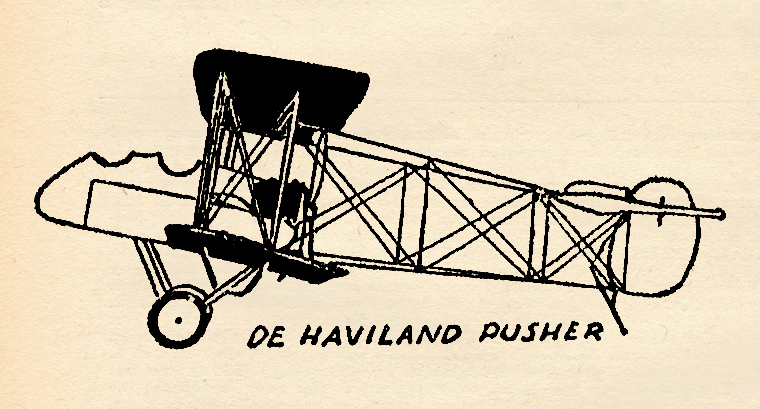 When the La Fayette Escadrille was formed, he wan invited to become a member. In that organization he won his commission as a Lieutenant in recognition of his ability and courage. Though not supposed to lead his men in battle, he always did so. 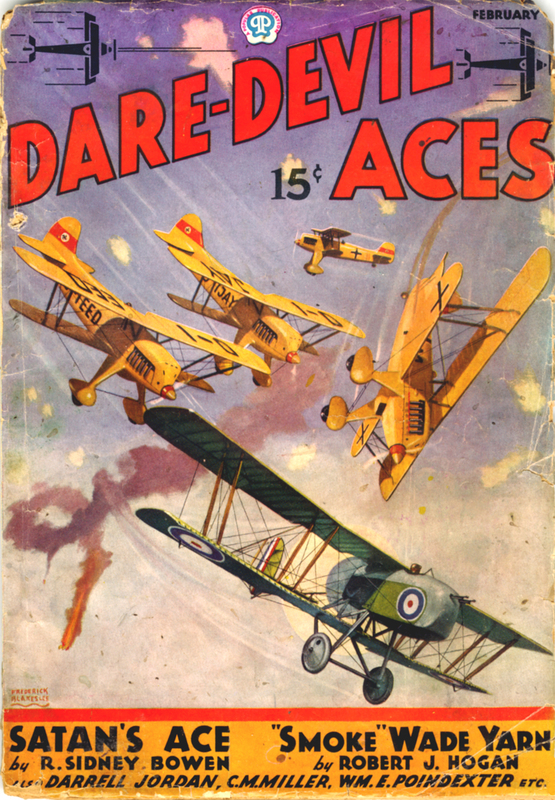 Just before the armistice, he left the 13th Squadron to become commander of the 4th Pursuit Group. 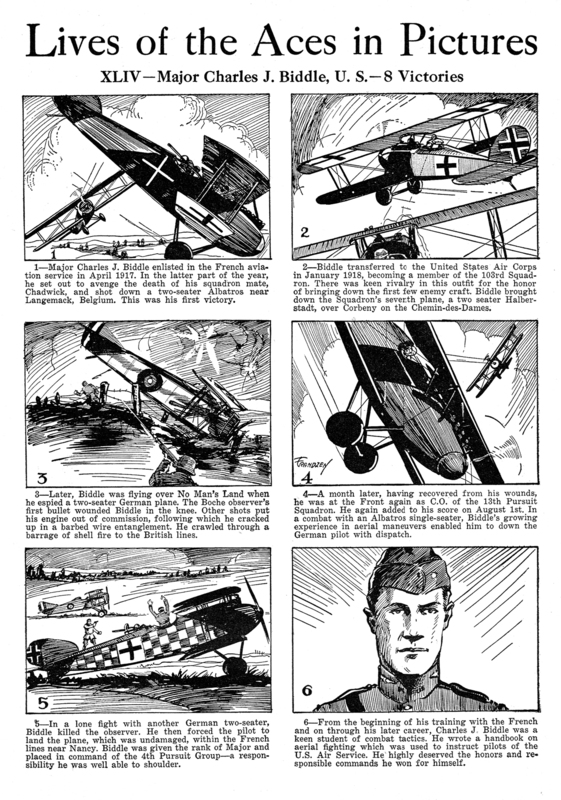 By wars end he had amassed 7 victories and been awarded the Legion of Honor, Croix de Guerre, Distinguished Service Cross and Order of Leopold II. 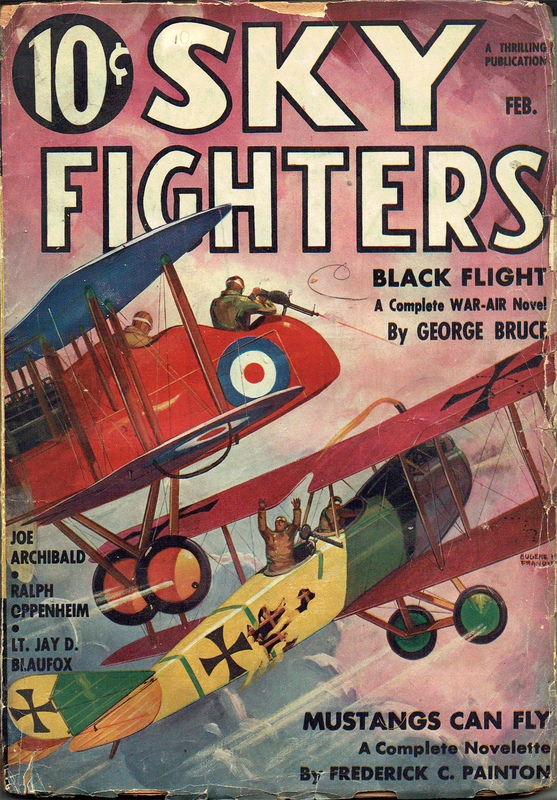 After the war, Biddle wrote a book entitled The Way of the Eagle (1919) and joined the family law firm in 1924—becoming a partner by 1925 and a major force within the firm through the fifties. He died in 1972 at “Andalusia”—the family estate on the Delaware River in lower Bensalem Township, Pennsylvania.